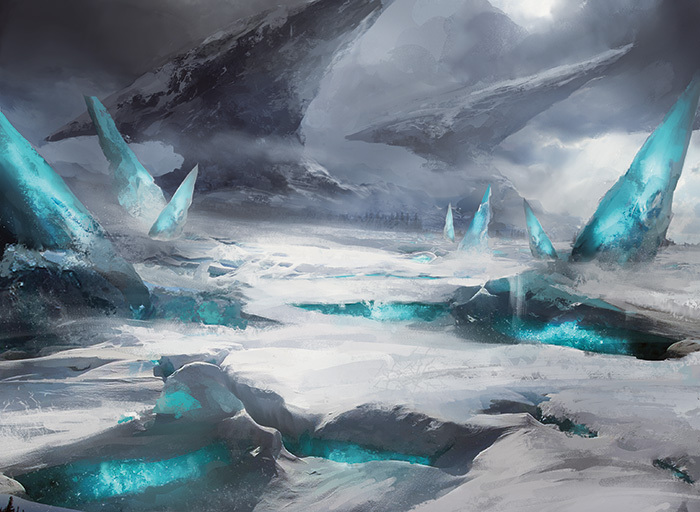 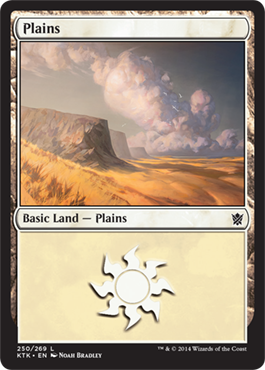 Today, Erik Lauer showed of the common dual-land cycle meant to smooth out Limited play. 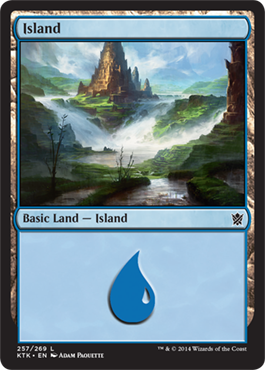 Lucky for me, I also get to show off some lands. 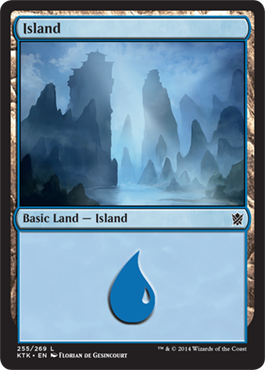 Unlucky for me, they're not "new" in very many senses of the word. 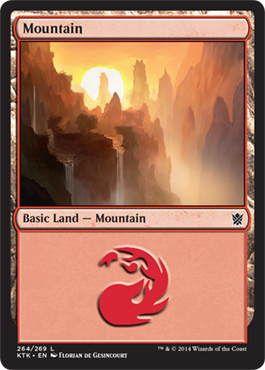 In fact, the only thing new about these lands is the art. 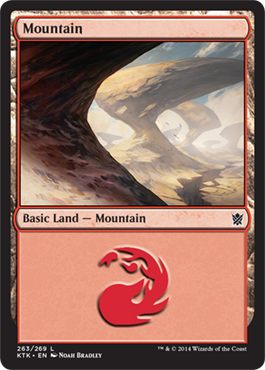 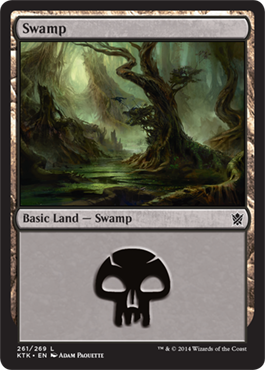 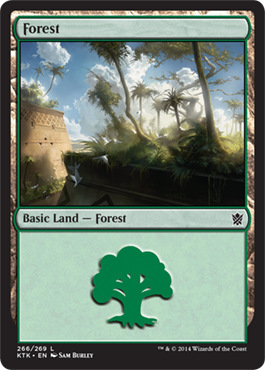 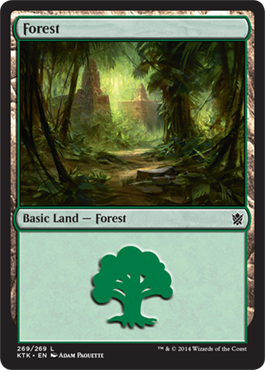 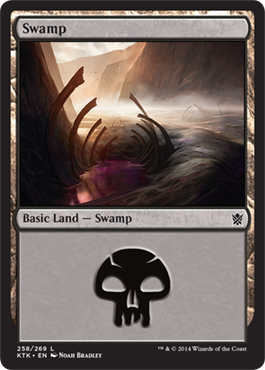 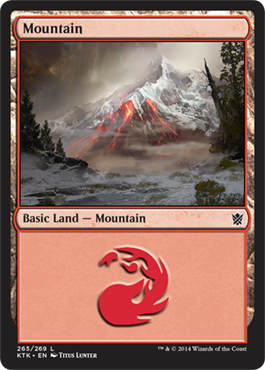 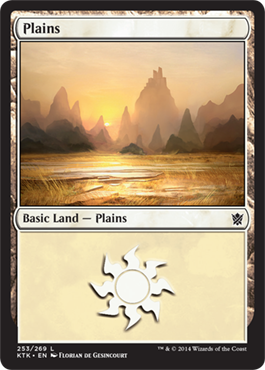 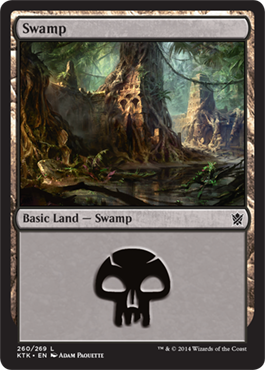 The basic lands are often a window into the plane we inhabit, and often have some of the most breathtaking art in the set. 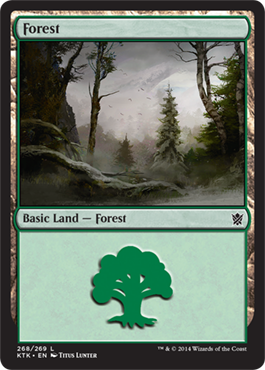 The art above is one of the Forests. 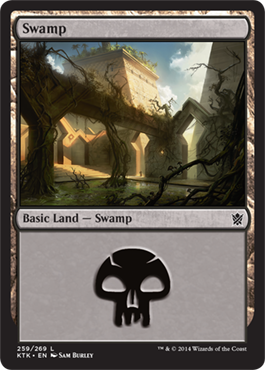 Here are the rest, in card form. 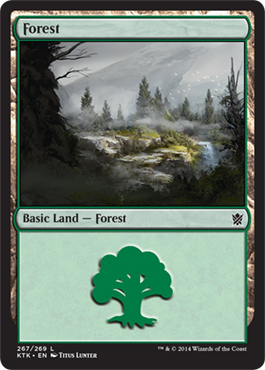 Something very cool that you might not catch at first glance is that many of the lands depict areas that are meant to evoke a clan. 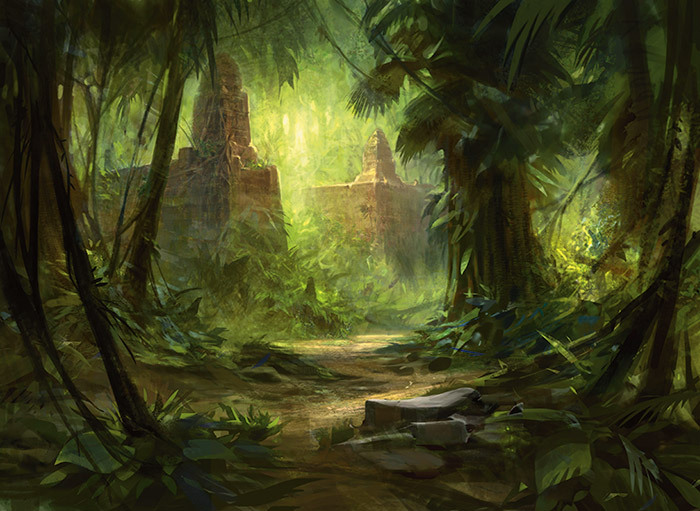 The top art in this article, for instance, shows off what appears to be a Sultai jungle palace. 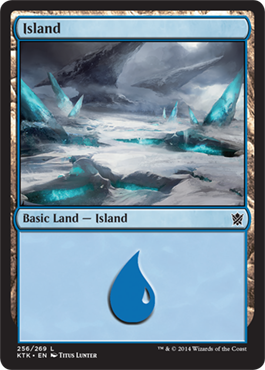 And this Island below is meant to show off the harsh, icy land the Temur call home. 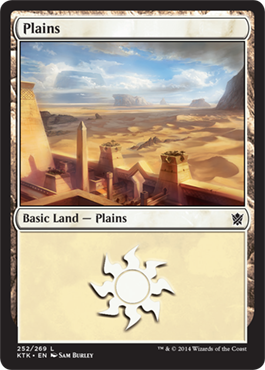 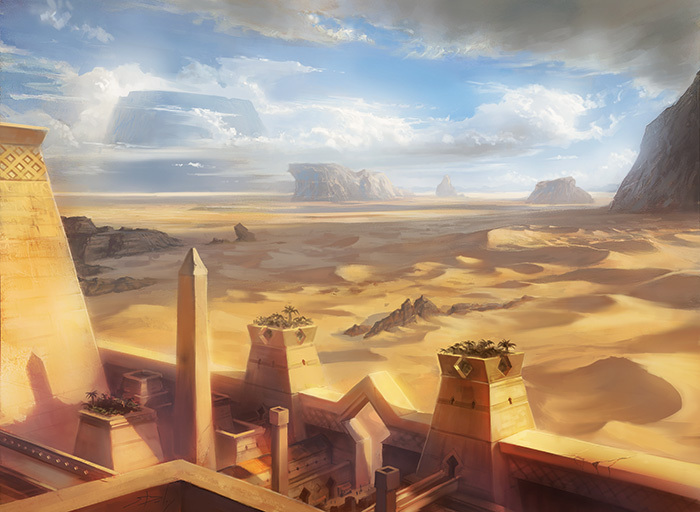 Likewise, you can clearly see an Abzan fortress in this Plains. 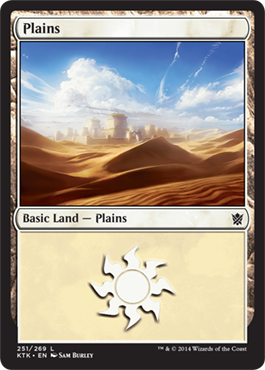 That means it's possible to customize your clan deck with basic lands that match your deck's clan or wedge. 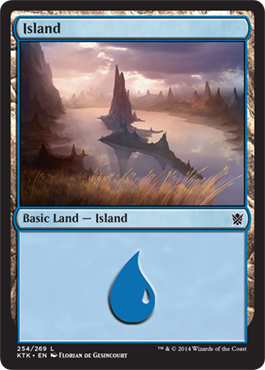 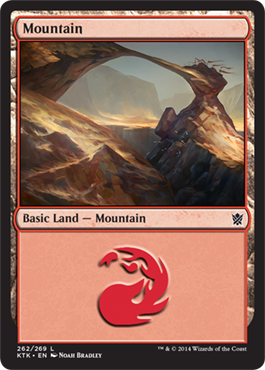 What other markings of the clans can you find in the basic lands?